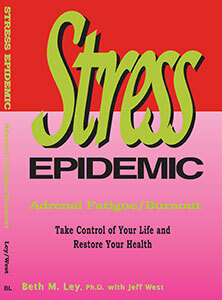 Stress has become our number one health problem today and most people do not even realize how many health problems they are experiencing because of it. Adrenal Fatigue is a complex and multifaceted condition, which can make recovery a difficult process. The ROOT needs to be addressed for total healing. Here is a short list of some the most common health problems associated with Adrenal Fatigue due to chronic high levels of the stress hormone, cortisol:. Fear, stress and worry are essentially the same thing in regards to your body’s response to them. These are all dependent upon your thoughts. If you can control your thoughts you can control your body and it’s healing! Author and nutritionist, Beth Ley Knotts, Ph.D. has been helping patients recover from Adrenal Fatigue and Adrenal Burnout since 2000. She can help you too!